The first class of future pilots at the Republic Airways Holdings’ LIFT Academy will “take off” on Tuesday. LIFT Academy, a U.S.-based aviation training school located at the Indianapolis International Airport (IND), launched in May of 2018 and makes aviation training affordable, accessible and attractive. Over 600 applications were received for the first class. LIFT Academy makes a career as a commercial pilot more accessible to all by reducing the cost and structural barriers to entry in aviation. Applying to LIFT is free, and total tuition for the flight academy is $65,000, which is lower than most other aviation training schools in the U.S. Further, graduates of LIFT are guaranteed a First Officer job with Republic Airways. To further help students with tuition costs, Republic is also offering financing opportunities and loan assistance to those who qualify. LIFT Academy features a structured aviation education environment and curriculum that combines flight, flight simulator, online and in-classroom training. Throughout the training program, students train on a fleet of advanced new aircraft and flight simulators produced by Diamond Aircraft Industries, including the DA40 single-engine and the DA42 twin-engine aircraft. Both aircraft possess the most advanced technology in the industry, including the most sophisticated avionics suite in the market. The program will be further enhanced with Diamond Flight Simulator Training Devices (FSTD) built to achieve the most realistic cockpit simulation environment. Republic currently hires nearly 700 commercial pilots annually, and that number is expected to grow by 50% over the next decade. The airline industry is currently facing a significant pilot shortage. Reports indicate 637,000 new commercial airline pilots will be needed worldwide by 2036 to meet demand because of contributing factors like pilot retirements and worldwide aviation growth. Interested students can call 317.471.2200 or 1.800.435.2552 and visit flywithLIFT.com. Republic Airways officials are available to answers questions regarding the pilot shortage and LIFT Academy. Top Copyright Photo (all others by Republic): Republic Airlines (2nd) Embraer ERJ 190-100 IGW N173HQ (msn 19000206) DCA (Brian McDonough). Image: 909600. This entry was posted in Republic Airline, Republic Airlines (2nd), Republic Airways Holdings and tagged Embraer ERJ 190-100 IGW, Lift Academy, msn 19000206, N173HQ, Republic Airline, Republic Airlines (2nd), Republic Airways Holdings on August 31, 2018 by Bruce Drum. 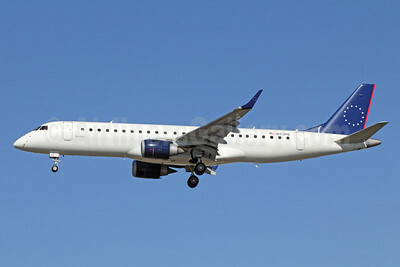 Republic Airways Holdings Inc. (Indianapolis) and Caesars Entertainment Corporation (Las Vegas) has signed a three-year contract under which Republic’s Republic Airlines (2nd) (Indianapolis) subsidiary will operate five Embraer ERJ 190 aircraft to provide more than 1,500 flights annually for Caesars’ customers throughout the United States. Copyright Photo: Michael B. Ing. Republic Airlines’ (2nd) Embraer ERJ 190-100 IGW N173HQ (msn 19000206) arrives at Los Angeles. 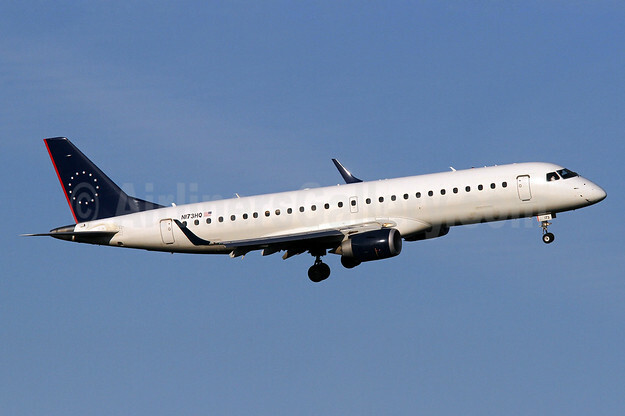 This entry was posted in Republic Airlines (2nd), Republic Airways, Republic Airways Holdings and tagged 19000206, aviation, caesars entertainment, Embraer, Embraer 190, Embraer ERJ 190, Embraer ERJ 190100, entertainment corporation, ERJ 190, ERJ 190100, ERJ 190100 IGW, LAX, Los Angeles, N173HQ, Republic Airlines, Republic Airlines (2nd), transportation on October 26, 2012 by Bruce Drum.